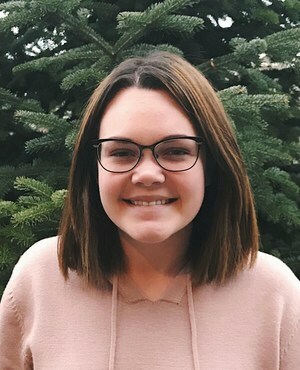 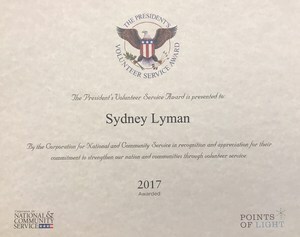 Junior, Sydney Lyman has been recognized for the significant amount of time she has spent serving our community. 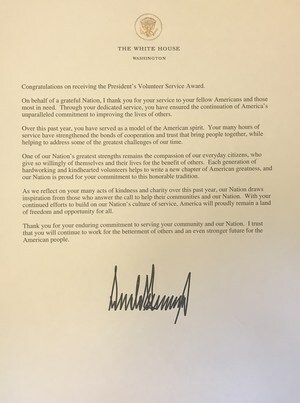 As her letter from President Trump stated, "Each generation of hardworking and kindhearted volunteers helps to write a new chapter of American greatness." 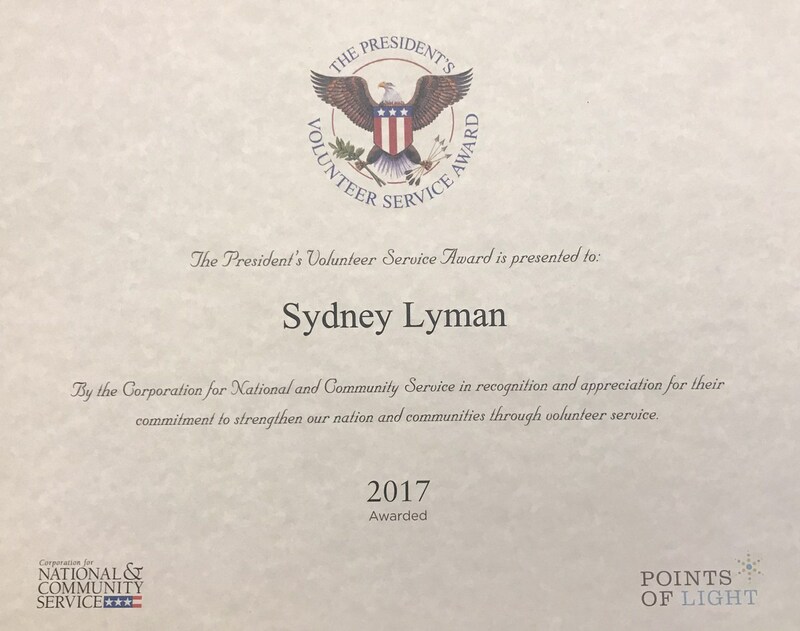 We thank you Sydney for her volunteerism. 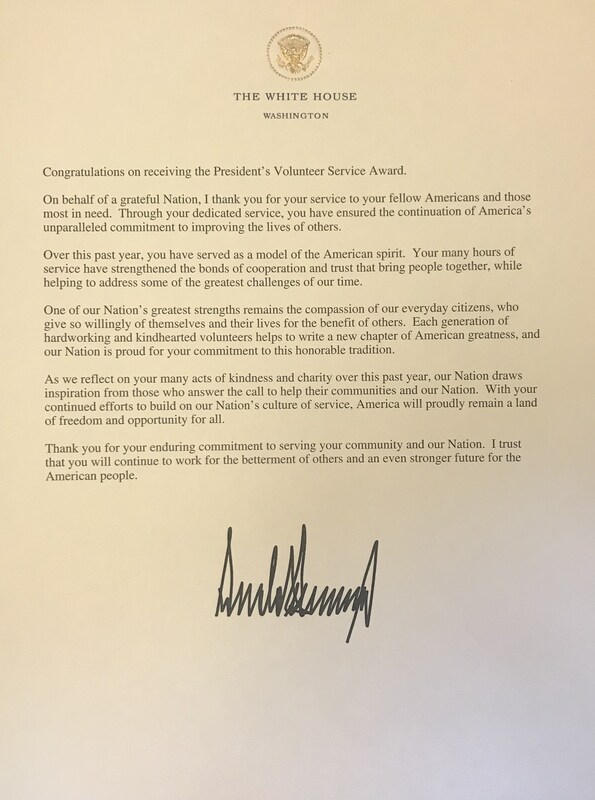 Her kindness speaks volumes about her character.